Garlic isn’t an ingredient that you expect to see on a dessert menu. OK, this is a creative two-Michelin-starred menu, but it’s still momentarily confusing. Especially when it’s served as a foam with a classic apple Tarte Tatin. The French are known – and teased – for their love of garlic, but surely even they would consider this to be extreme envelope-pushing? Glazed chicken wings for starters also catches you by surprise. Welcome to Midsummer House. Multiple-course menus have been replaced by shorter set menu and a la carte options to reflect diners’ changing habits and give the chefs a better work/life balance. Contemporary artwork by local artists adds colour to muted décor downstairs while Bordeaux-red upholstery in the upstairs PDR creates a more intimate space. From our vantage spot in the conservatory, we could appreciate the comings and goings in the newly extended kitchen, overseen by head chef Daniel Clifford. Our first taste of what lay ahead was a mini meal in itself. 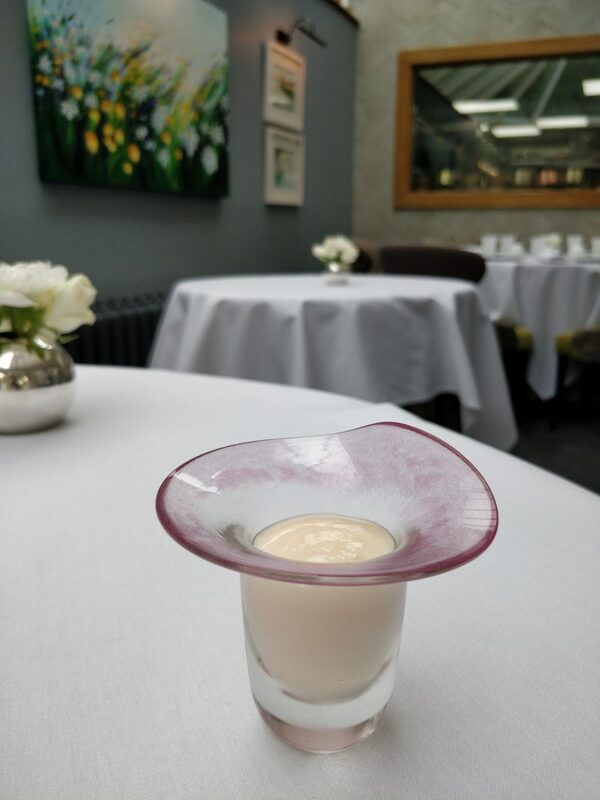 Of the selection, the Champagne and grapefruit mousse was the most memorable, mainly because I can’t stand the sourness of the latter and yet scraped the shot glass clean. Grapefruit should always be served with Champagne to make it more palatable. 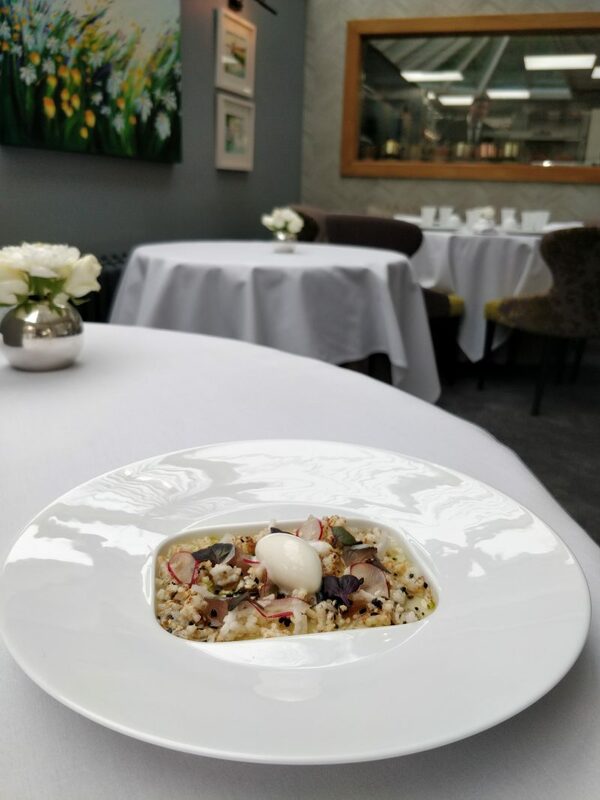 Mackerel tartare on puffed rice in a mackerel broth had me fighting the urge to slurp instead of daintily dredging bread through it. I’d gladly take the chicken wings home with me, too. Over time, I’ve come to terms with – and even started enjoying – eating them with my hands, biting into the flesh, tearing tiny strips off with my teeth and licking sauce off my fingers. It’s part of the pleasure. The refined version is no less enjoyable, albeit more intense. 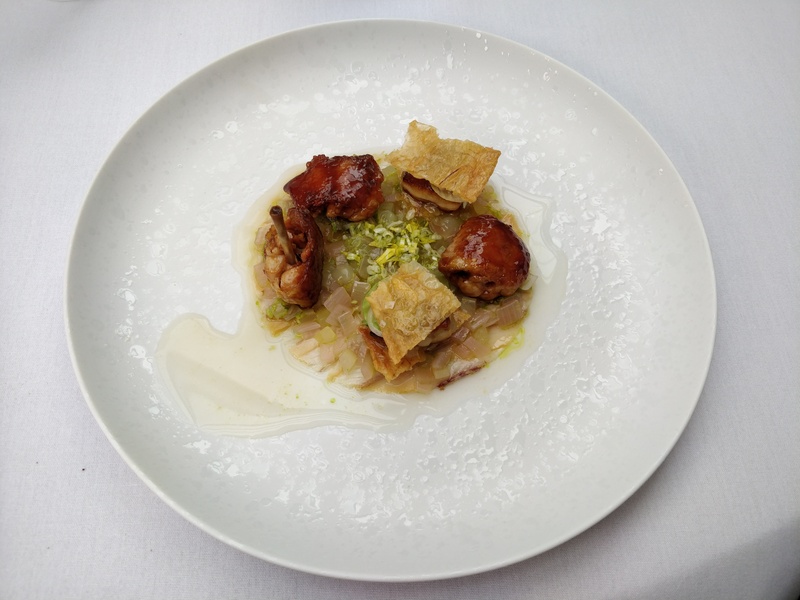 You get multilayered mouthfuls of tender meat and smoked eel, crispy skin, rich and silky sautéed duck liver in a celery consommé. Like grapefruit, celery is another rare Room 101 ingredient, so bravo to the brigade. The ensemble is so rich it could buy a house in Hampstead and have change for one in Corsica. 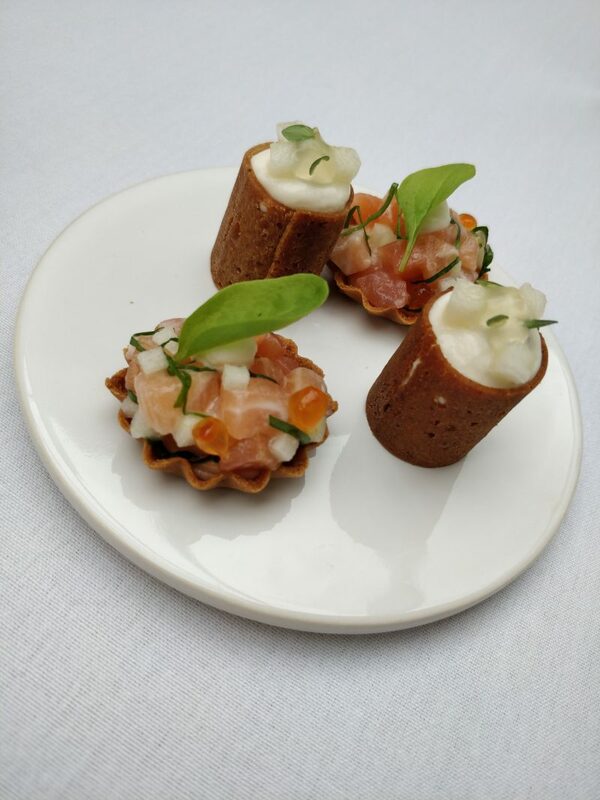 Our second starter, Savarin of Cornish crab with sautéed Tiger prawns protectively draped over the sides, was a showstopping savoury dish. 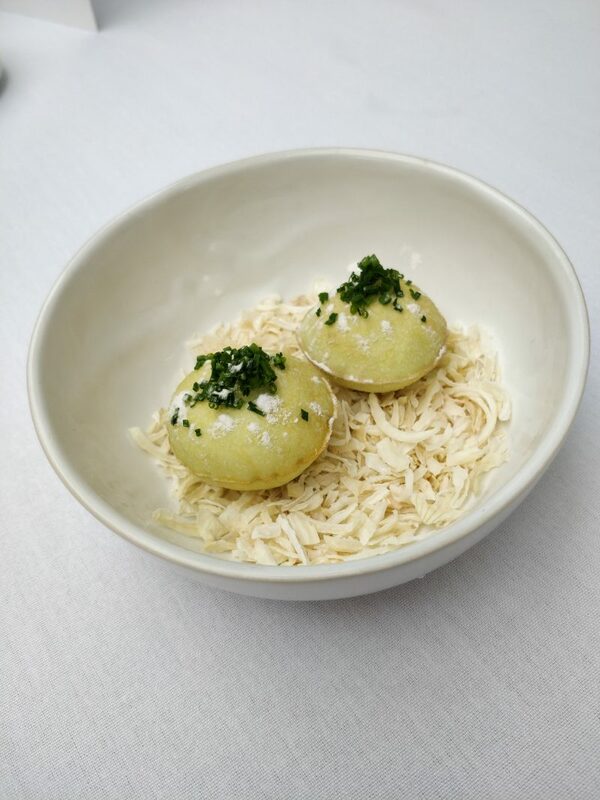 Its fresh flavours and textures made you quickly forget how guilty you felt when you ruined that pretty plate. My choice of main wasn’t difficult: when you love seaweed and gnocchi as much as I do and see that the chef has combined them, everything else pales into insignificance. It’s probably the only time that braised turbot takes a back seat. There were clams, cuttlefish and more, each bringing their own sassiness from the sea, but biting into the bottle-green dumplings was like sliding into bed and feeling your whole body relax. 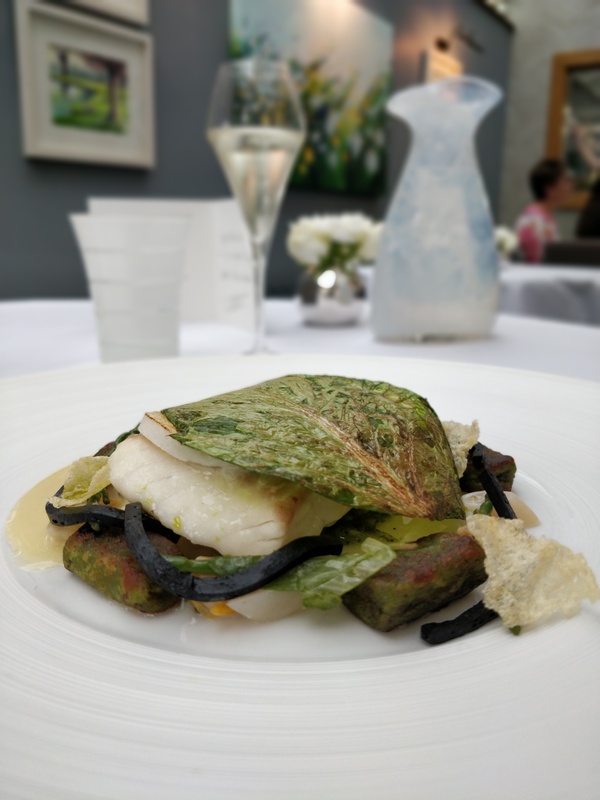 The poached cod, encircled by roasted langoustine, mini meringue-like, caviar-topped cauliflower purée and oyster leaf, was the stuff of pescatarian dreams. 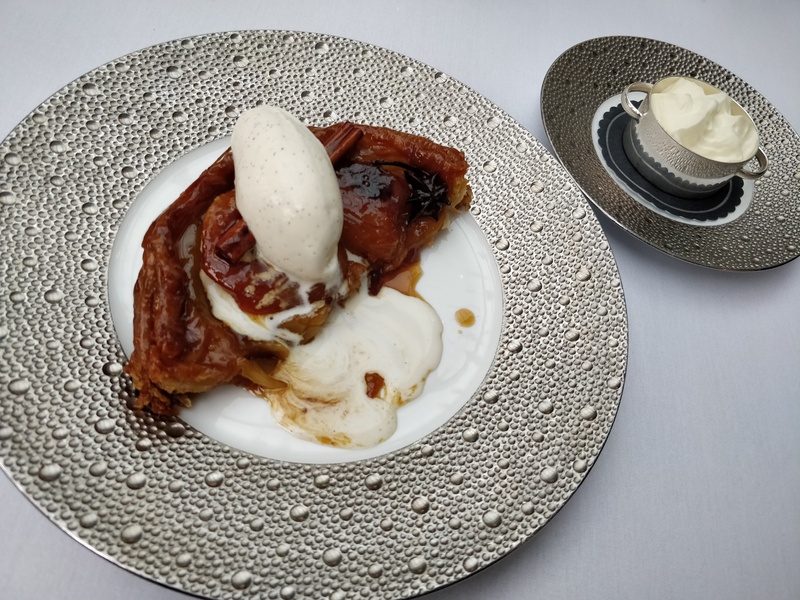 The food foreplay was followed by the climactic Apple Tarte Tatin with garlic and bay foam and vanilla ice cream. Before you can tuck in, there’s a look-but-don’t-touch moment as the waiter prepares the dish tableside; enough to test the patience of a saint. Does the fruit pair well with the foam? Yes and no. A small amount of each and you’re rewarded with the right balance of sweet and savoury with a delicate herbal finish. Get greedy with the garlic and it overpowers the rest. In a world where culinary creations compete to be the most outlandish, it’s refreshing to be surprised by food that doesn’t beg you to share its photo on social. 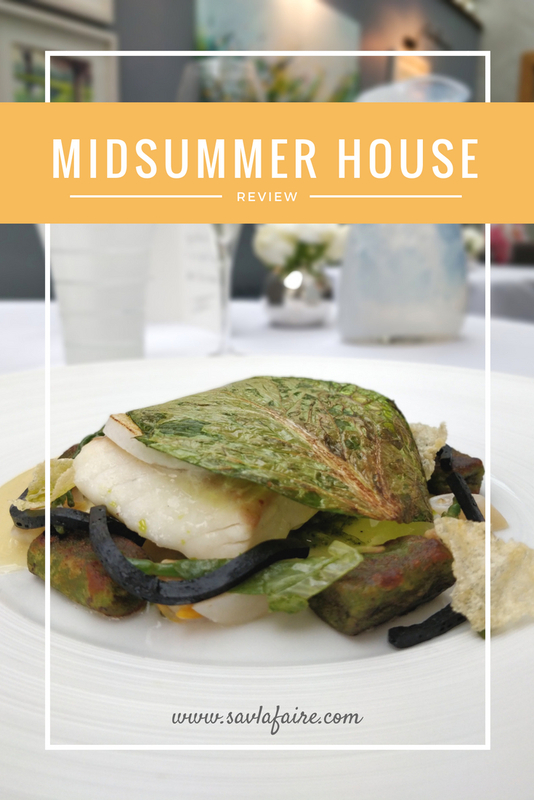 That’s not to say that the menu at Midsummer House is dull; it just quietly confident. Unlike the man behind it, whose recently published account of the last 20 years in this kitchen is, by all accounts, explosive. 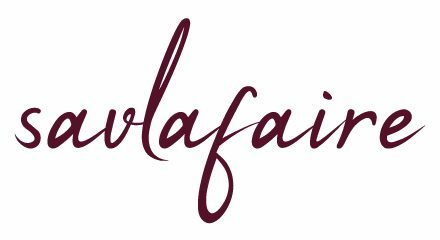 All words, images and costs incurred are my own, unless otherwise stated, and remain the trademark of www.savlafaire.com. Definitely sounds like an interesting yet appetising menu. I love a place that pushes those boundaries to try out different variations because there is not right or wrong. 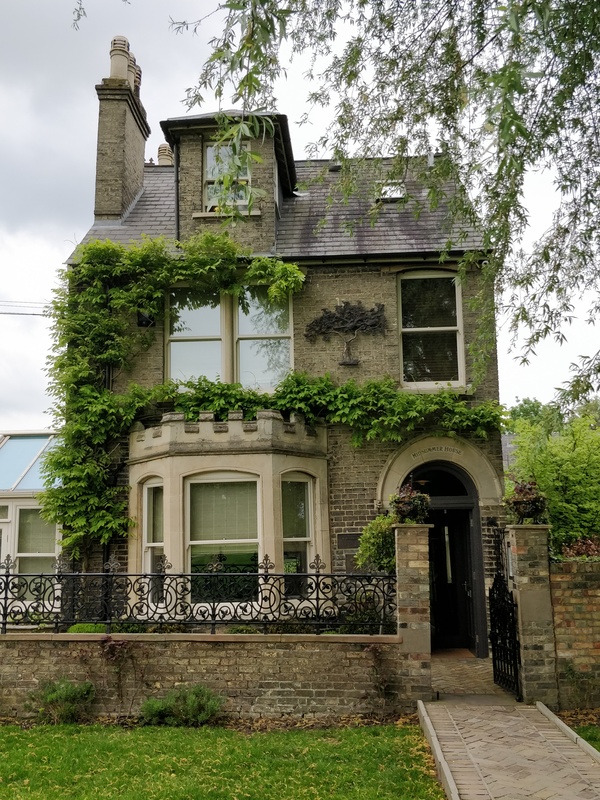 The house does look quaint and somewhere I would like to spend a special occasion. It’s such a great place, and so relaxed given that it’s fine dining. I definitely recommend booking for a special occasion, or just making a special occasion of a normal day instead. They have a gorgeous terrace to enjoy during the summer. It is a beautiful place l was there in July, wonderful snacks, food and drinks. The staff very hospitable.